The rand lost 0.5% against the greenback on Friday, but still ended the week slightly stronger that it started it on Monday. European and Asian indices bounced back after the Wall Street Journal reported that the US was considering lifting tariffs on China as officials look to hammer out a trade deal. "Global markets are enjoying an overwhelmingly bullish end to the week, with hopes of a potential breakthrough in US-China trade talks helping drive optimism throughout both Asia and now Europe," said Joshua Mahony, senior market analyst at traders IG. In South Africa, the JSE All Share was up 0.8% by 16:30 at 53 859 points. The rand was slightly weaker against the dollar in afternoon trade on Friday, reversing some early minor gains. At 15:20 the local currency was trading at R13.78/$, after opening the day at R13.72 to the greenback. The JSE All Share index was up 0.6% at 53 764.46 points by midafternoon, with the Financial index level and gains for the Industrial and Resource indices. The rand was trading at R13.80/$ by midday. Andre Botha, senior dealer at TreasuryONE, noted in a market update on Friday morning that the rand would trade within a range of R13.65 and R13.90 against the greenback. The local currency opened at R13.72/$ on Friday morning. The dovish comments from fed officials and a rumour that the US will ease tariffs on China will continue to dominate market moves. "We expect the rand to continue trading in tight ranges, and we could have some EM (emerging market) bias with further news from the US-China trade talks." Stocks in Asia gained Friday, building on the recent rally in risk assets, amid optimism for progress in US-China trade talks. Shares in Tokyo and Hong Kong led the advance, while futures pointed to a higher start to the European session. The S&P 500 Index on Thursday exceeded its 50-day average for the first time since December after the Wall Street Journal reported Treasury Secretary Steven Mnuchin proposed easing China tariffs. The benchmark Nikkei 225 index rose 0.27% to 20 456.83 in early trade while the broader Topix index was up 0.27% at 1 547.35. "Following gains in US shares, Japanese shares are seen trading positively" in early hours, Toshiyuki Kanayama, senior market analyst at Monex said in a commentary. "The SARB hawks that circled in November 2018 seem to have migrated, making space for gentle doves," analysts from RMB Global Markets Research noted. In their update, Nema Ramkhelawan-Bhana, Mpho Tsebe and Kim Silberman, highlighted that although it was expected the bank would keep rates unchanged at 6.75%, it was unanticipated that the bank would lower the inflation profile. "The inflation trajectory was lowered – due largely to subsiding oil and food price pressures, while the number of hikes projected by the Quarterly Projection Model was reduced to one 25bp increase compared to the three reflected in November. "Lower inflation and lower rates paint an extremely dovish picture relative to that of the last Monetary Policy Committee meeting," the update read. With inflation expected around 4.5%, RMB expects one rate hike in the latter part of the year. As for exchange rates, the rand-dollar exchange is expected to range between R13.65 and R13.85. However the rand-pound exchange may be more volatile as the pound is on a near two-month high on rumours of a second Brexit referendum. The benchmark Shanghai Composite Index added 0.32% to open at 2 567.74, while the Shenzhen Composite Index, which tracks stocks on China's second exchange, was 0.12% up at 1 310.69, AFP reported. Analysts from NKC Economics forecast that interest rates will remain unchanged at current levels - at least until mid-year. This is due to the "favourable outlook" for headline inflation in 2019, NKC noted in a market update. "The slower pace in global monetary policy tightening will be an additional supporting factor. "The reality in South Africa remains one where administered prices are the main culprit in keeping inflation above the mid-point of the target band, thus out of reach of the SARB's monetary policy efforts. "This was clearly illustrated in November’s CPI release, with the CPI excluding administered prices reported at only 3.8% y-o-y vs. headline CPI at 5.2% y-o-y." "However, ZAR recovered losses again overnight amid USD softness. Expected range today R13.60/$ - R13.85/$." The rand opened at R13.72/$ on Friday, this after it briefly lost ground to trade at R13.80/$ following the rates announcement on Thursday. The bank kept rates unchanged at 6.75%. Adam Phillips – treasury specialist at Umkhulu Consulting- attributed the move to the SA reserve Bank explaining there may only be one hike this year. Previously the SARB projected a few hikes. Further to the central bank's announcement – Governor Lesetja Kganyago continued to defend the bank's independence which is enshrined in the Constitution, in light of the ANC proposing a review of its mandate in the manifesto launched last week. 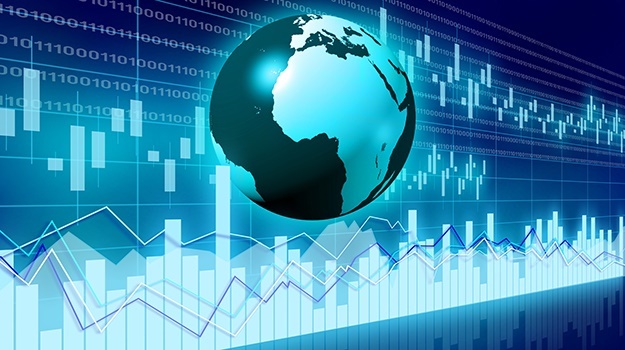 Bianca Botes, corporate treasury manager at Peregrine Treasury Solutions, noted that Chinese data is a cause of concern for global growth prospects in the long term. Chinese exports dropped 4% year-on-year. "The largest contributor to the EU, Germany, also indicates a significant slowdown in its economy. Initial jobless claims indicate a strong jobs market in the US, outperforming market expectations at 213k vs 216k," she commented. "The key focus area in the market remains the US, with the shutdown still casting a shadow over an already tarnished President Trump. "We also keep in mind the US-China trade dynamic, as data indicates a massive withdrawal of Chinese investments from the US while investment by the Chinese into the US has plummeted by 92%."